Brazilian contender Claudia Gadelha is looking to rebuild her title worth after losing to current women’s strawweight champion Joanna Jedrzejczyk twice since 2014, and it all starts later this evening (Sat., June 3, 2017) at UFC 212 live on pay-per-view (PPV) from inside the Jeunesse Arena in Rio de Janeiro, Brazil, when Gadelha meets former title challenger Karolina Kowalkiewicz. If Gadelha can get past the Polish striker at UFC 212 and win her second fight in a row, the road back to a title shot will shorten. “I know a lot of people want to see that fight again, but I think I am the only strawweight that can beat Joanna,” Gadelha told FOX Sports. “I did the wrong things in my camp to fight her. I killed myself and I killed my body. Everything I did to fight her was wrong. Even though I thought I was doing the right thing, I wasn’t because I killed myself. I killed my body for 17 weeks. Remember, Gadelha split from Brazilian gym Nova Uniao late last year and is ready to close that chapter of her career. 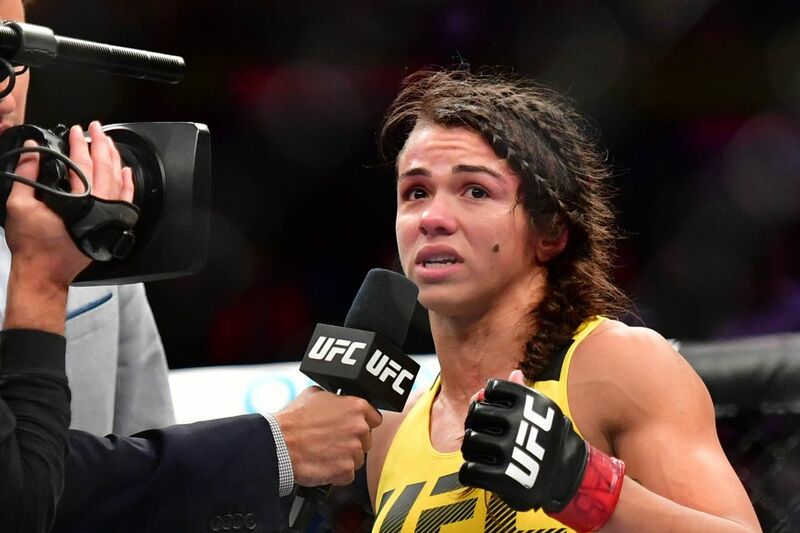 If her new coaching staff, which consists of Greg Jackson and head coach Chris Luttrell, is able to bring out a different version of the strawweight, Gadelha believes that will be enough to warrant a trilogy fight with Jedrzejczyk. “I have to train smarter and become a better fighter to show people that I can fight her again. This is my job now,” Gadelha said. Outside of Rose Namajunas and potentially Kowalkiewicz, Gadelha is already in position to contend for the title in 2018. A win at UFC 212 will only accelerate her chances.